Founding Principal of Birmingham Conservatoire, Professor Kevin ‘Kit’ Thompson, has been appointed Knight of the National Order of Legion of Honour for his outstanding contribution to French music, arts and culture. Established by Napoléon Bonaparte in 1802, the Legion of Honour is the highest French Order of Merit and one of the world’s most coveted. Professor Thompson was made Knight Officer of the Order of Arts and Letters previously in 2012, on nomination of the Minister of Culture and Communication, Frédéric Mitterrand. Recognised internationally as one of the most pre-eminent university college and academy presidents – as well as a leading trumpeter, composer and conductor – Professor Kevin Thompson was Birmingham Conservatoire Principal from 1988 to 1993. “The award of ‘Légion d’honneur’ reflects the combined strengths of French, British, Macau and Hong Kong colleagues and friends, as well as the international and local community around us. Together we have journeyed, and it’s been quite a voyage of discovery, heightened by spellbinding performances, community outreach, town and gown. How fortunate we are, just as we were in those early Conservatoire years through to Birmingham City University today under its succession of inspired Principals – each bringing their own dynamic leadership to the fold – and to have remarkable individuals who bring their talent and expertise, diversity of approach and own creative characters to our collective endeavours. In 2013, Professor Thompson was appointed inaugural Master of the new Moon Chun Memorial College at the University of Macau on the island of Hengqin in China. In Macau, he serves as Vice President of the European Chamber of Commerce, Vice Chairman of the British Business Association, Board Member of the French Business Association and ‘Association Culturelle France’, as well as being an advisor to ‘Orquestra de Macau’. In the United Kingdom, he was Chairman of both the Royal West of England Academy and Pilot Theatre in York, as well as a Board Director for Arts University Bournemouth. On leaving Birmingham Conservatoire, Professor Thompson became director of Dartington College of Arts, followed by Hong Kong Academy for Performing Arts. 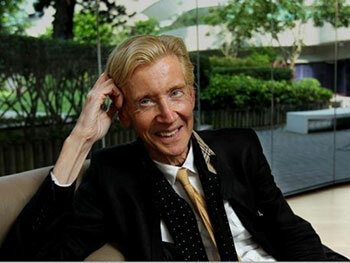 While serving at the latter, he was awarded the Order of the British Empire (OBE) for services to the arts and to UK-Hong Kong cultural exchanges in the Queen's New Year's Honours List 2011. For The Queen’s 90th and 91st Birthdays in 2016 and 2017 respectively, he conducted, from manuscript parts – archived in the Library of the Black Watch – ‘Orquestra de Macau’ in the original Gordon Jacob setting of the National Anthem, commissioned for the Coronation of HM Queen Elizabeth II on 2 June 1953. Former recipients of the ‘Légion d’honneur’ include tenor Plácido Domingo, writers Graham Greene and JK Rowling, actress Kristin Scott Thomas, film director Wong Kar-Wai and Nobel Laureates Ang San Suu Kyi, Joseph Stiglitz and Seamus Heaney. One of the leading music academies in the country, Birmingham Conservatoire is part of Birmingham City University, which is the UK’s biggest producer of creative professionals outside the south East.